There is a new dataset on PlanktonPortal! 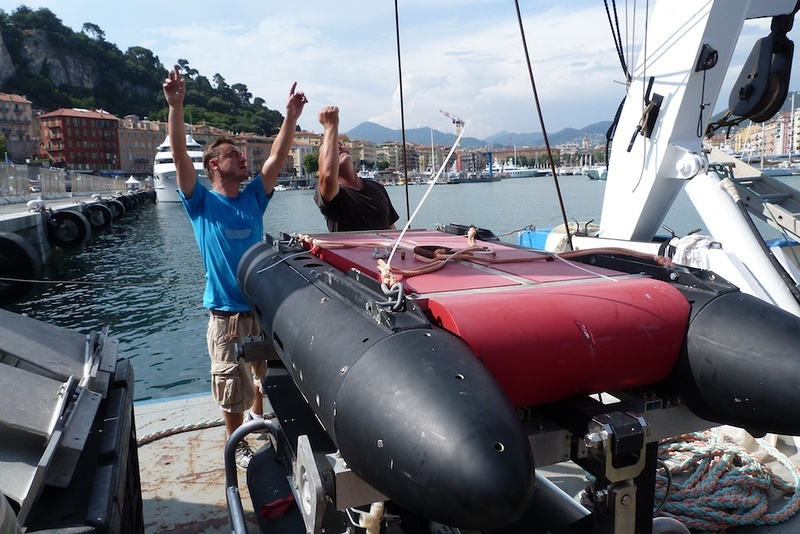 In summer 2013, a group from the original science team behind PlanktonPortal (Bob Cowen, Cédric Guigand, and Jessica Luo) teamed up with French colleagues (Jean-Olivier Irisson, Robin Faillettaz and other members of the Laboratoire d’Océanographie de Villefranche) through a Partner University Fund-sponsored project. 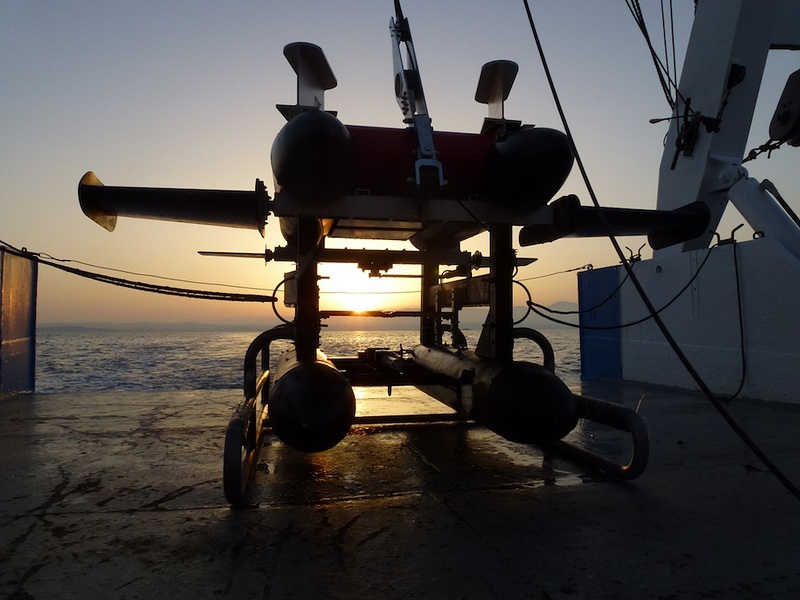 We roamed the Mediterranean sea, equipped with ISIIS, the instrument which takes the images seen on PlanktonPortal, and a collection of other sensors. Our aim was to understand how physical discontinuities in the ocean (such as the strong coastal current along the French Riviera) influence the plankton. These discontinuities often create conditions in which plankton thrives and this has important consequences down the rest of the food chain. After a rocky start (see our project blog), we eventually managed to get almost five full days of sampling. Five days; it seems short. And ISIIS was actually acquiring data of scientific interest during only 93 h within those five days. That is 3.8 full days, which seems even shorter. But that amounts to about 17.5TB of data (terabytes, as in 1024 gigabytes). In terms of images, that represents 19 trillion pixels, which could be divided into 34 million PlanktonPortal frames. So, clearly, we need your help! We actually spent much of the last two years processing the images and classifying organisms in a small fraction of them, to be able to filter out most frames with no organisms using computer algorithms. Now we are ready. Ready with a few hundred thousands frames from the last two days of the cruise that no one has seen before and in which you can help us identify plankton. This entry was posted in Citizen Science, ISIIS, Plankton, Science and tagged france, french riviera, ISIIS, mediterranean, new dataset, partner university fund, university of pierre and marie curie, UPMC, villefranche-sur-mer by jessicaluo. Bookmark the permalink. Hey everybody, let’s mark them all!